Lawmakers in New Jersey are currently searching for a way to close the widening gap in funding needed to repair and maintain the state’s transportation infrastructure. During a budget hearing in May 2014, then-Transportation Commissioner James Simpson testified before lawmakers that New Jersey’s Transportation Trust Fund (TTF) is facing a $620 million shortfall for FY 2016. According to the American Society of Civil Engineers, 66% of the state’s roads are in “poor or mediocre condition” and 651 bridges are “structurally deficient”. In addition to funding road projects, New Jersey is also looking to decrease the amount of debt incurred through past bonds. For FY 2015, $1.26 billion will be spent on planned state transportation projects, with an additional $1.19 billion spent on the TTF’s debt service. There are several ideas being circulated on how to generate revenue for state transportation projects. Senators Thomas H Kean, Jr (R-21) and Joseph Pennacchio (R-26) introduced State Concurrent Resolution 126 July 31 to redirect $400 million per year of moto vehicle fees and surcharges to the state’s transportation fund. Senator Raymond Lesniak (D-Union) introduced Senate Bill 1865 March 17, a 15-cent-per-gallon state gas tax to be gradually implemented over three years. The bill would ensure that the new revenue collected would exclusively be used solely for transportation improvement programs. Senator Lesniak says that SB 1865 would generate $750 million annually for transportation infrastructure projects. Another method suggested by the New Jersey Policy Perspective to generate funding for transportation projects is to extend the state’s 7 percent sales tax rate to gasoline. At the current gas price of $3.50-per-gallon, this would amount to a 24.5 cents-per-gallon increase. Assembly President Vincent Prieto (D-32) announced in an op-ed in The Record August 13 that the Assembly Transportation and Independent Authorities Committee will be hosting hearings in the coming months to determine what the best action is to generate revenue for transportation infrastructure maintenance and modernization. While a state gas tax increase, a transportation sales tax, and independent parties are some of the possibilities being considered, Prieto stated additional bonding is no longer an option for the state. In a show of support, Senate President Stephen Sweeney (D-3) declared August 12 the start of a campaign to revitalize the state’s TTF. In order to raise awareness of the issue, Sweeney stated he will visit areas throughout the state that require funds for transportation improvements. 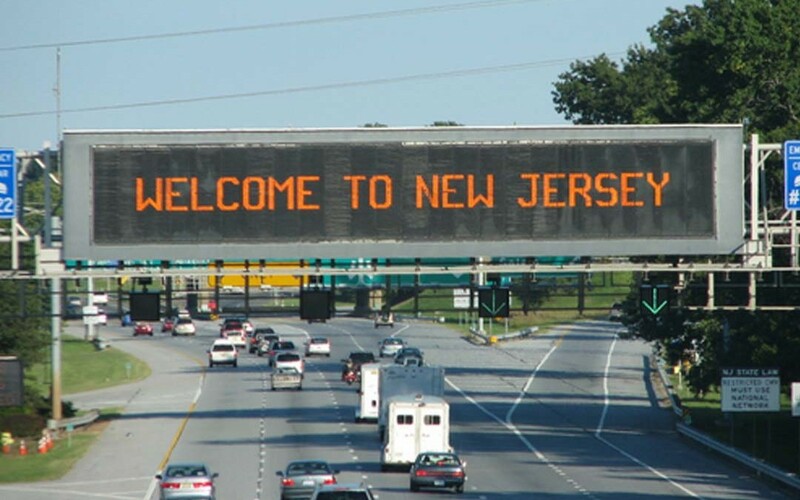 A poll conducted by Rutgers-Eagleton April 2014 shows that New Jersey residents are more open to an increase in the state gas tax if they understand the significance of the situation. Without context, two-thirds of respondents were against raising the state gas tax for transportation improvements. However, when given the option of raising the state gas tax or borrowing funds for necessary road repairs, 39 percent of respondents who were initially opposed to increasing the state gas tax changed their mind. New Jersey’s state gas tax rate has remained at 14.5 cents-per-gallon since 1988, the second lowest in the country.